Most people who visit the Burren drive through and stop at the most famous locations such as the Poulnabrone dolmen or the Burren Perfumery. They take the obligatory photo of Lamanegh Castle and maybe stop at Corcomroe Abbey. It’s a bare limestone landscape. And I often think that the forms of the limestone are so abstract and aesthetic, it is as if they were all laid down by some wild surrealistic kind of deity. Being a child and coming out into that, it was like a huge wild invitation to extend your imagination. I can’t even count the number of times I’ve been to the Burren. On my first trip to Ireland, I had no role in planning the itinerary. I simply went along with friends who’d invited me and enjoyed the sites they chose. I can recall my friend, Hal McConnell – a great mystic with a brilliant and the planner of our Ireland tour saying, “Now, we’ll enter a mystical landscape – the Burren where everything seems harsh and stark, but there’s an underlying sacredness about the place. Though you can catch glimpses of the highlights by driving through, a better experience is to walk the Burren. Get out into the landscape and place yourself in that sacred space. It’s so worth stopping, moving, absorbing that special energy unique to the Burren. Or better yet, treat yourself to a walking tour led by a guide who knows his or her way around and can reveal parts of the landscape you won’t be able to see on your own. 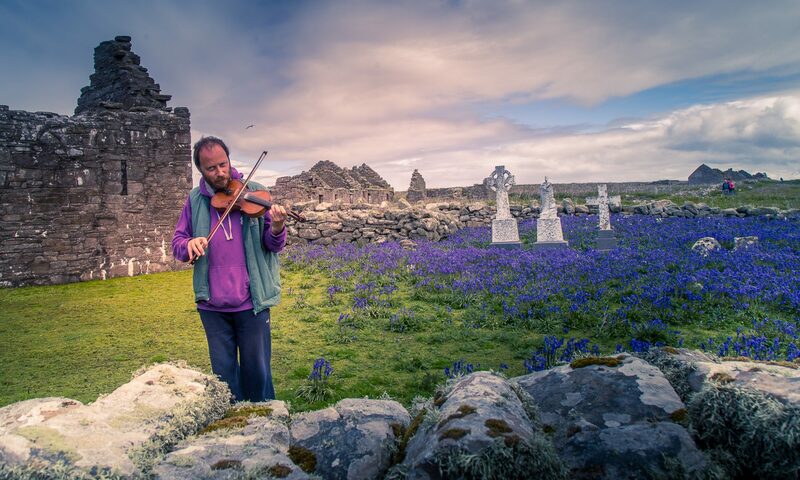 Our favorite Burren tour guide is Tony Kirby. And he’s our guest on this podcast. 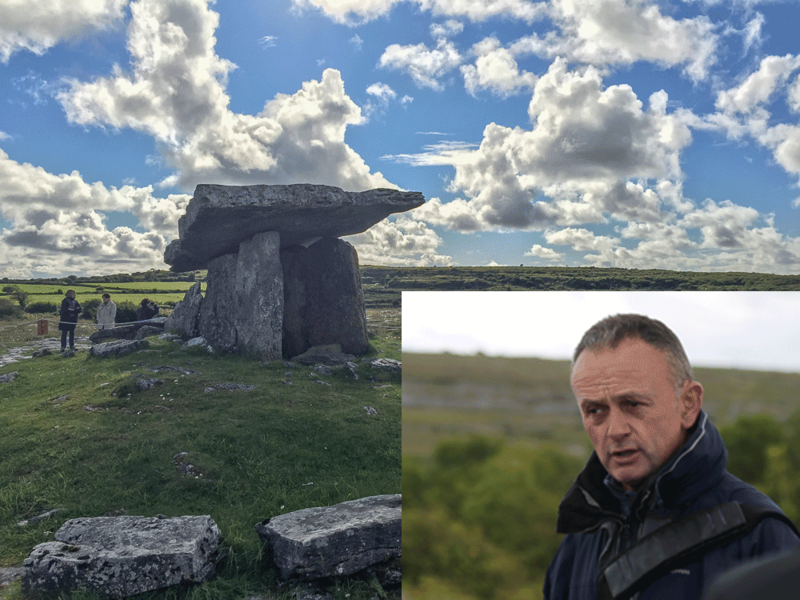 Tony comments about the Burren that it is a rare global landform – limestone pavement. Of world importance botanically for its unique mélange of wildflowers. Exceedingly rich cultural (archaeological) landscape – “a vast memorial to bygone cultures” with a 6,000-year-old story of low-scale pastoralism. The Burren’s natural and cultural landscape is home to much legend and mythology.? His favorite site in the Burren is St Colmán’s Hermitage – a mainland equivalent of Skellig Michael. A hermitage of Early Christian origin set in a mature forest at the base of the region’s sheerest cliff. Rich in the legend of the Saint Colmán. The Burren (200 sq miles) is less visited than other big-ticket Irish Atlantic destinations like the Cliffs of Moher, peninsular Kerry, Connemara, the Aran Islands and Galway city. However, those that visit the Burrren are struck by how important a heritage landscape it is internationally and secondly by the fact the extensive rocky landscape is in part man-made i.e. caused by prehistoric agri-vandalism. 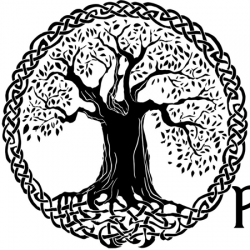 Launching website very soon – The Killeens of the Burren. Killeens are burial grounds of unbaptized children. 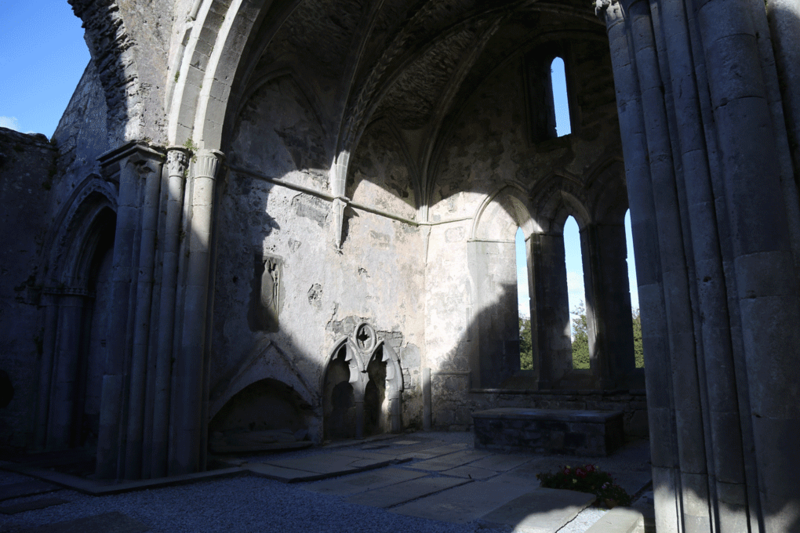 Corcomroe Abbey is a 12th-century monastic ruin that was once occupied by the Cistercians. It is a place of two worlds. If you ever wanted test yourself for sensitivity to the otherworld, this would be a perfect spot to start. Corcomroe projects its memories into the landscape. If you quiet yourself as you approach the abbey ruins, you’ll begin to feel the memories. This often happens to me in monastic ruins, but none so much as at Corcomroe. Notice the details. They’ll speak to you. In your mind, talk to the effigy of the Chieftain king. Internally hear what he says to you. Look above him and notice the smile on the bishop’s face. With your inner eye, see the monks walking the cloister walk. Follow them, hear their prayers. It is so easy to step back in time here. I have this little spiritual exercise I do when I walk in the wild places. As I internally communicate with the spirit world, I find that I’m often confirmed by the shape of hearts. Heart shaped stones, shapes in the trees, clouds, leaves on the ground. I see hearts. But only at these special times. The last time I was Corcomroe, I snapped a picture with my phone of the gable wall with the large window. I didn’t see it until I looked at the digital image – but there – big as life on the wall was a shadow cast by the sun in the perfect shape of a heart. I’ll post that picture in the Shownotes. The effigy of King Conor O’Brien is what people tend to remember about Corcomroe. And that’s just what was intended some 750 years ago when it placed there. In 1268 Conor O’Brien, Lord Thomond and his son, his daughter, his grandson and a number of others were slain in a battle very near the abbey. Conor O’Brien’s body was laid in a tomb under the floor of Corcomroe Abbey against the north wall. A niche was cut in over it and an effigy placed on top of the tomb. This effigy atop King Conor O’Brien’s tomb is one of only two effigies of Irish kings. the two kings died about the same time and the effigies appear identical. Beneath the floor next to him are the graves of some of his warriors. This short poem appeared in the Irish Monthly in 1911 by R.M.G. Conor O’Brien of the kings. How sound you sleep in Corcomroe! The hymns of many a year ago. By warriors from the field of red! They laid you in your royal bed. Their souls are sped where no man knows. In our next episode, our guest will be Mary Reynolds, an Irish garden and landscape designer famous for her wild gardens and her focus on bringing back the wild places.